Christmas starts earlier every year, so I’m gonna take the initiative and jump the gun by 3 months with a pre-Halloween Christmas List. Because consumption of material objects fulfills my self-worth. Just look at that beauty. And I’m not just talking about Gloria in all her wonder and Gloria-sness. 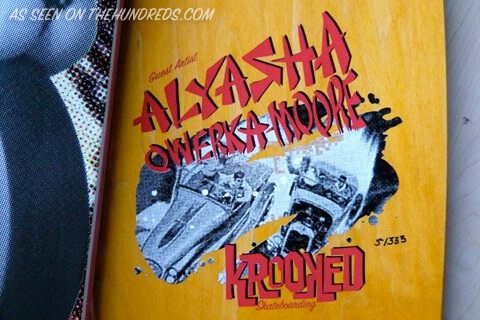 Tommy Guerrero himself asked Aly to put together this guest deck that was produced at a limited run of 333. That’s halfway to 666 which may or may not be a coincidence depending on which Satanist you ask. 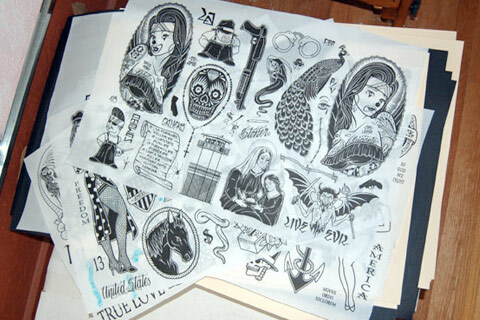 Remember how I was saying that Mike’s retired from tattooing and then you began sobbing hysterically like a 9-year-old hungry fat girl? Except you’re 22 years old (still fat and look like a girl) and you’re not hungry for cupcakes, but rather for a Giant tattoo? And then I told you that Mike printed up 100 flash sets in the first time since, like, forever? 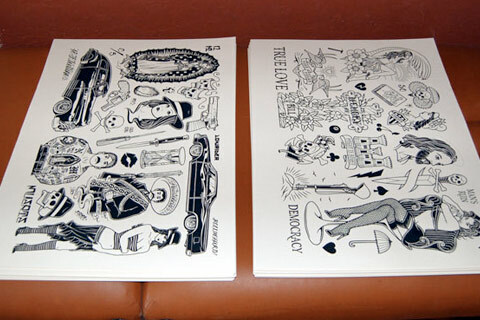 And that they’ll be available exclusively through Rebel 8’s website in a few weeks? And then you got so happy that you ordered an exercise bike? Remember? You still look like a girl. When I was a kid, I would freeze my legos in the fridge and use them as ice cubes to chill my Tang. It worked fine until I’d choke on the legos, which would proceed to tear up my esophagus lining and cause internal bleeding and emotional distress. The end result would be profound damage and hemorrhages throughout my organs. 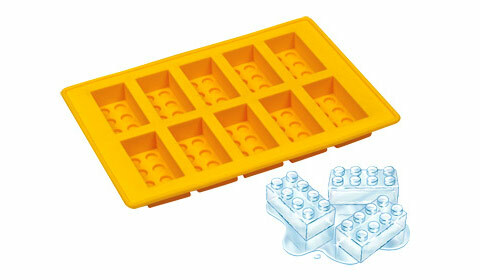 I guess the brains over at Lego heard about this, so they created an ice tray that actually makes ice legos. Thanks Lego. What do Kanye West, El-P, and I have in common aside from our obvious skills on the mic? 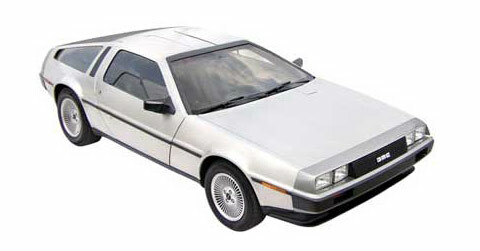 Our undying love for Delorean Motor Company’s DMC-12. But when I get mine, I’m gonna kit it out with a flux capacitor off Ebay and a Mr. Fusion made out of paper-mache. It’ll only take me 40 years to save up to get a refurbished one off the new DMC website, so maybe I’ll just wait til 2015, suckerpunch Marty at the Cafe 80s, and jack his ride. Then I’ll fly back here to 2007, give myself the car, and then I’ll have the other Me go to work everyday and suffer through listening to Ben sing Morrissey, while I stay at home and watch Judge Judy with Elizabeth Shue. Anyways, Christmas arrives a little earlier for you too, considering our “The Porch Life” New Era, “Rogers” cardigan, and “Deck” knit sweater are now available in our online SHOP. Plus, all Tens tees are $20, at The Store and online. Lucky you.